This is the month for news from UCDavis. 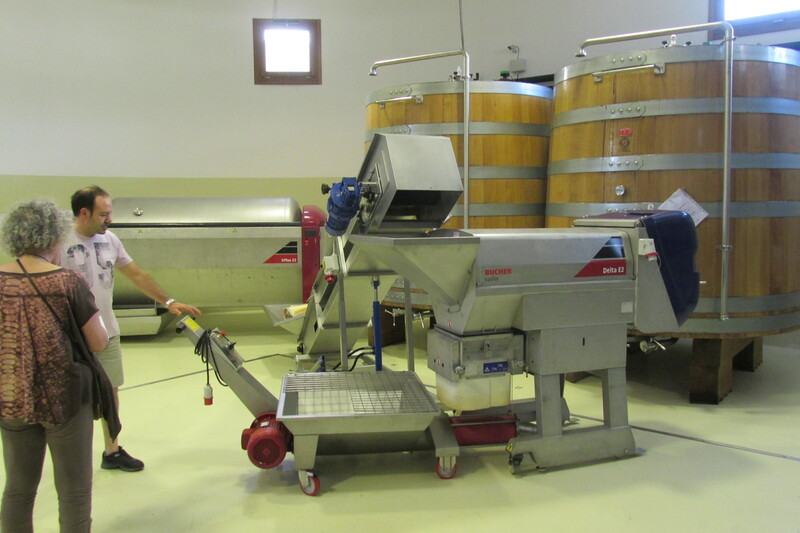 My partner forwarded another email with news of the latest research on winery wastewater. Again, I could not resist sharing. 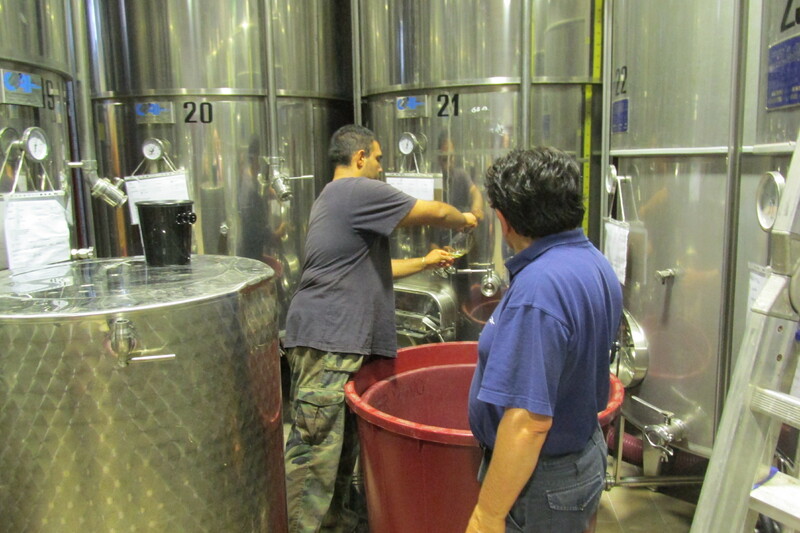 winery wastewater is a viable water source to irrigate vineyards. they are not removed by treatment systems. from shifting to potassium-based cleaners. kaolinite, also a clay mineral. reuse wastewater, as well,” she said. J. Parikh of UC Davis. I generally pass through Paso Robles three or four times annually, spend a night and continue on to my destination. Over the past ten years, I have become quite familiar with the town and surrounding region. With every visit I have felt more drawn to its spaciousness, warm character and friendly people. Ancient oak and olive trees dot its terrain offering shady places to sit and sky-gaze; slopes latticed with vineyards roll and curl through endless space. When I was introduced to orange wine I was drawn to its unusual gold color and out-on-the-farm nose. Earthiness describes my first taste. A lingering complex finish left an impression of a drink that had come from antiquity. Smitten in that first encounter, I imbibed a bit too much. The following morning in conversation with my son I revealed that the orange had loosened my tongue and as a result I waxed eloquent on expository profound truths or, to put it mildly, the gospel according to P.
My wise son had only one comment. “Mom, wine is the truth serum.” My mind had a history of playing push-pull with to imbibe or not to imbibe. The idea of a truth serum deepened my quandary. At times I wondered if my feelings were a hangover from a past life as a Hindu. On my first trip to India in 1985 it was nearly impossible to get an alcoholic drink outside a major hotel. Of course all of that has changed since and India has developed a thriving wine region. Or, perhaps I had been a Muslim. But then some of the first wines were produced in northern Iran. In hyper-looping around Azerbaijan an Islamic culture, I was surprised to learn that it has been producing wine for centuries. So much for past life theory. On return from Eurasia, I decided to attend a conference on Understanding Jui: The History and Culture of Alcoholic Beverages in China. As wine production began in China, I anticipated getting a great deal of useful information that would help me in countering the inner nag. The Confucius Institute at UCDavis hosted the event in the Mondavi Food and Wine Center. Before going further I need to report that UCDavis has just been recognized for the third year in a row as having the number one agricultural school in the world, and it’s the only UC campus to be number one in anything worldwide. The daylong included talks and a panel by prestigious experts, mainly from China. Just what I wanted. Patrick McGovern drew me to the meeting. The Scientific Director of the Bimolecular Archaeology, Project for Cuisine, Fermented Beverages and Health at the University of Pennsylvania Museum and adjunct Professor of Anthropology at University of Pennsylvania, he has been most helpful to my partner and me on a book we are writing on the vessels mainly glass, used in making and imbibing wine. McGovern’s research has been key to our knowledge of the use of alcoholic beverage in the ancient world. With a dual hat, he has pursued archaeological and chemical clues from ancient China and other parts of Asia to make his discoveries. Fondly known as the “Indiana of Jones of Ancient Ales, Wines, cuisines and beverages,” his book In The Search for the Origins of Viniculture and Uncorking the Past: The Quest for Wine, Beer and Other Alcoholic Beverages reveals the story of humankind’s intoxicating quest for the perfect drink in ancient China is a must for anyone working in the wine industry. He describes how the analysis of early pottery from Hiahu in the Yellow River valley of China reconstructed a mixed fermented beverage of rice, hawthorn fruit, grape and honey. Analysis of bronze vessels from the Shang/Western Zhou Dynasty discovered that residue in the vessels still held liquids with millet, rice wine and beer from 3000 years back. My nag listened intently to McGovern along with the several others who discussed how the story of alcohol has been foundational in every aspect of culture, not only in China, but others as well. Michele Yeh, the Department Chair of East Asian Languages and Culture at UCDavis for example, related that, in China by the third century, jiu became associated with poets so much so that, if someone claimed to be a poet but did not drink jiu, others questioned whether they could truly call themselves poets. In China we find a history of formalized consumption as exemplified in state rituals, in ancestry worship, and in the rise of cult drinking in the third century when the meaning of drinking evolved. Social, political and intellectual factors contributed to the development of the rituals. Appropriate imbibing based on Confucian ideals also holds true. Drinking is not just about fallen down drunken stupidity. Not only is the history of alcohol use in America short-lived in contrast to China, it has been frowned upon. One need only consider Prohibition as an example. Nor does it have the kind of formalized ritual around the use of jiu that is found in China. Wedding and New Years Eve toasts are two exceptions; the use of wine at Mass in the Catholic Church another. If McGovern was the perfect keynote, Cecilia Chiang former owner of The Mandarin in San Francisco was the perfect close. Cecilia opened her talk on a personal note: “I am ninety five years old.” She described her life in China as the daughter of a wealthy, French champagne drinking family who fled during the Communist revolutions and moved to San Francisco in 1960. Opening a restaurant she offered many Northern Chinese dishes for the first time. Among other chefs she taught Alice Waters how to prepare excellent Chinese food. She spoke of introducing Mondavi fume blanc at her restaurant. 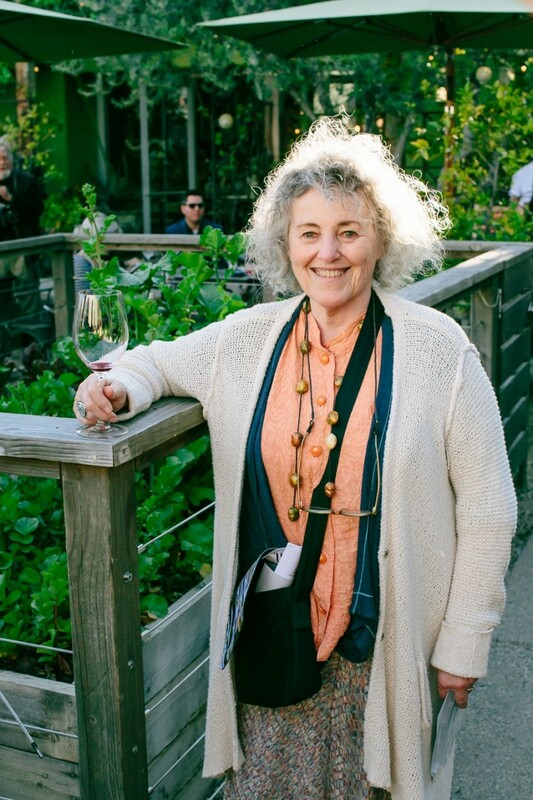 She spoke of how Robert Mondavi with a bevy of wine knowledgeable guests often frequented her restaurant. With her inspiring talk, my inner nag begin to wither on the vine. On an entirely separate venture from the above, I had gone to Colorado to attend a retreat to be given by an esteemed Tibetan monk. The day before the retreat a friend and I were crawling down a dirt road exploring the local environs. When we passed a monk walking along my intuition stopped the car and inquired, “Are you giving a retreat?” After his affirmative answered we spent a several moments engaging in a delightful conversation. WhenI ran into him again that evening while registering for the retreat we resumed our conversation. I felt the beginnings of a budding friendship. Following our karmic meeting, I drove to the only restaurant in the small town where I ordered a glass of cabernet to pair with a mushroom entre. While sipping and waiting for mushrooms the monk showed up. He passed my table and smiled. Chagrined, I felt like I had been caught engaging in crime, minor of course. Had I seen him enter, I would have hidden my glass. So much for budding friendship! Moments later the he gave me a teaching. A server glided across the restaurant with a glass of wine and presented it to the monk. He turned and raised his glass in my direction. Further chagrined, but, I breathed a sigh of relief to know that even some enlightened beings imbibe. I’ve had enough of the nag. I’m giving him up. In his ignorance, he simply does not know what he’s talking about! Once up and running, word got out, spread far and wide that the amrit was one of the best restaurants in the state of Maharastra. Tourists drove the forty five or so kilometres from what was then called Bombay, to the village of Ganespuri, knocked on the gate to the meditation ashram that housed the amrit, and asked for dining reservations. While the resident devotees found it rather humorous, tourists when told that the amrit not a public restaurant and served food for the residents of the ashram only, went away disappointed. One of those fortunate individuals to eat the ambrosia served in the amrit three times a day for one solid year, why I get jealous when I remember my experience of living there some twenty-five years ago. The amrit’s five star reputation—well deserved! This was not a restaurant in any ordinary sense, but it could have held its own against some of the starred Michelins. The philosophy behind it ran in deep streams of thought coming out of the Vedas and the Upanishads, some of the world’s most ancient scriptures. Food a necessity, not only nurtures the body, the divine can be known through the sense of taste. One of my work assignments that year now seemingly so long ago, was prep work in the kitchen. As we washed, cut, and chopped vegetables, de-stemmed thyme, peeled mangos and papayas, kneaded dough for naan and chapatis we worked in silence and listened to recordings of ancient Sanskrit mantras and ragas. In a kitchen so contemplative and peaceful I could not help but fall into that same state. I could feel that peace slipping through my fingers into the food that would eventually nurture the souls of those ate it. This was in fact the intention behind the the silence and chanting. To this day I listen regularly to chants when preparing meals in my own kitchen. 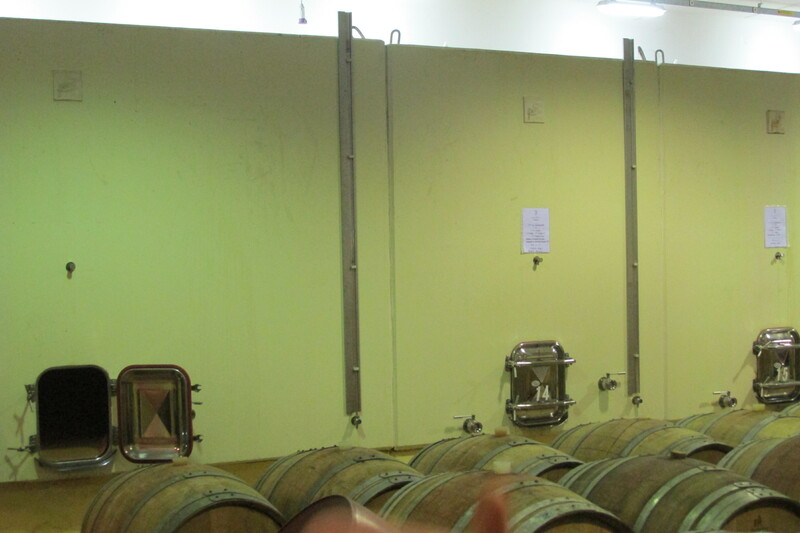 An aside on a similar note: years later while visiting a large winery down in Chile I thought I was in a church when I entered the barrel room to the sound of Gregorian Chants. Piped in over a sound system because sound carries vibration, the winemaker convinced that the elevated vibrations of the chant would permeate the wine, played them continuously as the wine aged. How many times have I heard the question, “do you like the food?” to be followed by the answer, “it’s divine”– music to the ears of the chef. According to the dictates in the ashram not only the method of preparation, the intentions and state of the staff are important. I would add a very important third ingredient, the essence and quality of the food. What is it that makes me feel that the food is divine. First, it makes me feel good—it’s that simple. Second, it takes me out of my ordinary experience into dimensions beyond the thing itself. Like the visuals of a gorgeous sunset, the taste of food can be overwhelming. It is one of life’s most pleasurable experiences. I am not talking about the self-gratification found in an eat, drink, and be merry hedonism in which food is solely an end in itself. That’s another topic. 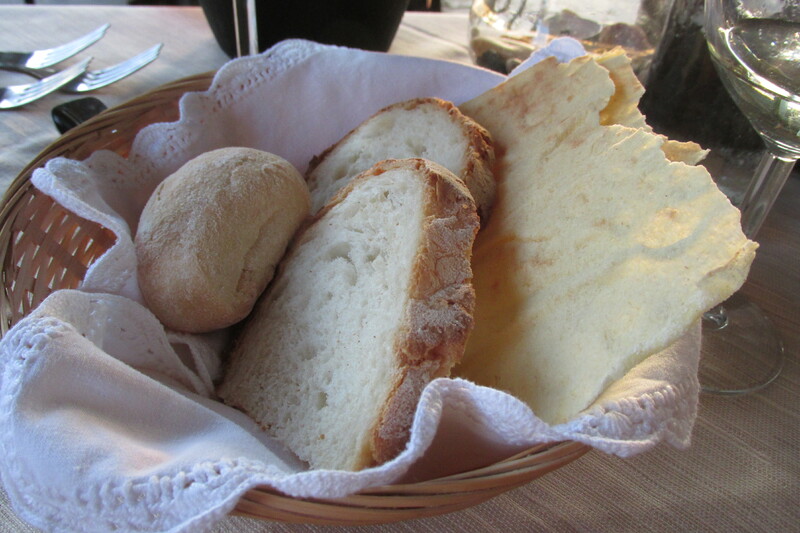 How was the food in Sardegna? Divine! 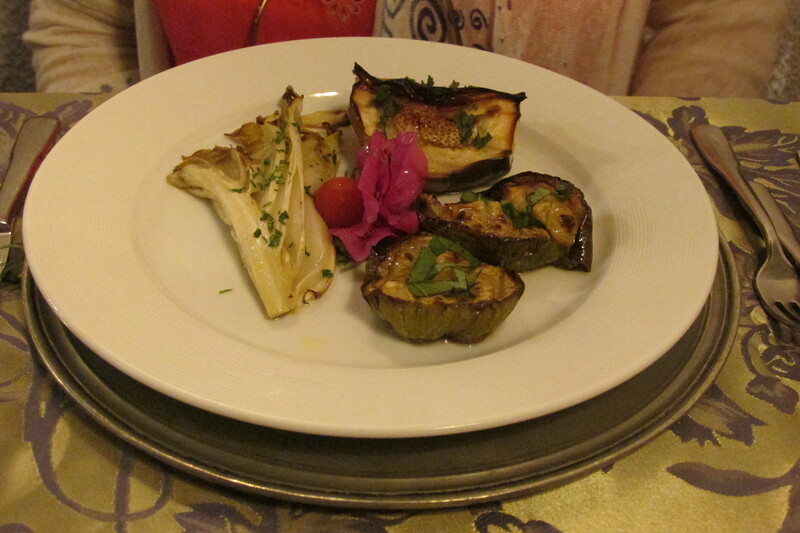 Simple, made with local ingredients, beautifully presented. People fuss over the preparation process like a hen taking care of her chicks. 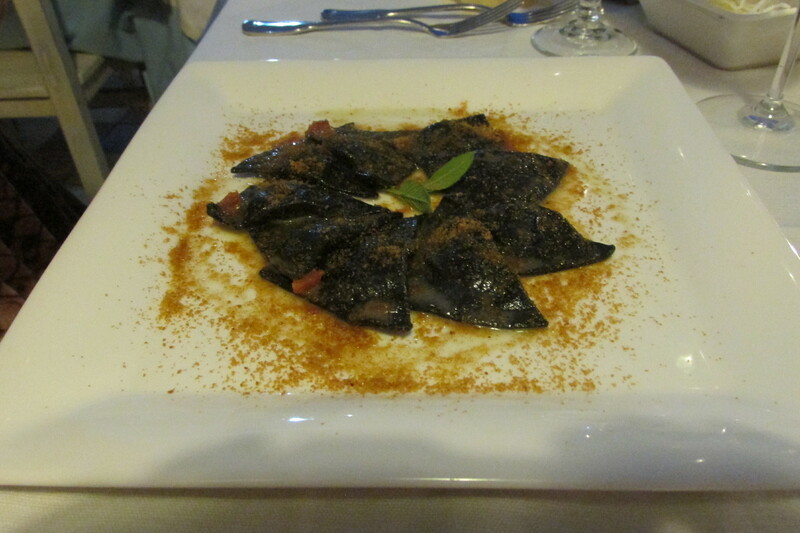 As I toured the island some ingredients growing increasingly familiar drew my attention to the essence of Sardinian food. I knew from conversations with chefs and locals there was a great deal of concern and pride in the way food was prepared–in short, with good energy. 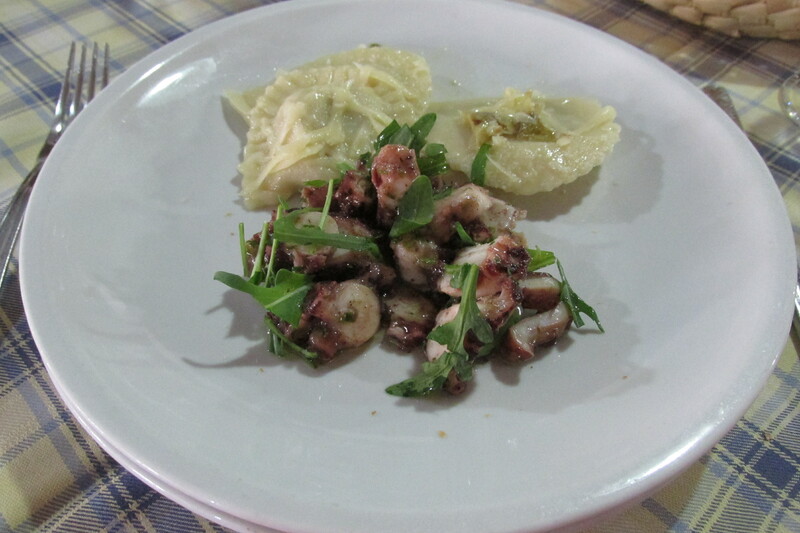 Rather than my usual focus on the dishes or menus I began to focus on the menu of some of the ingredients that turned up in one form or another across Sardegna. 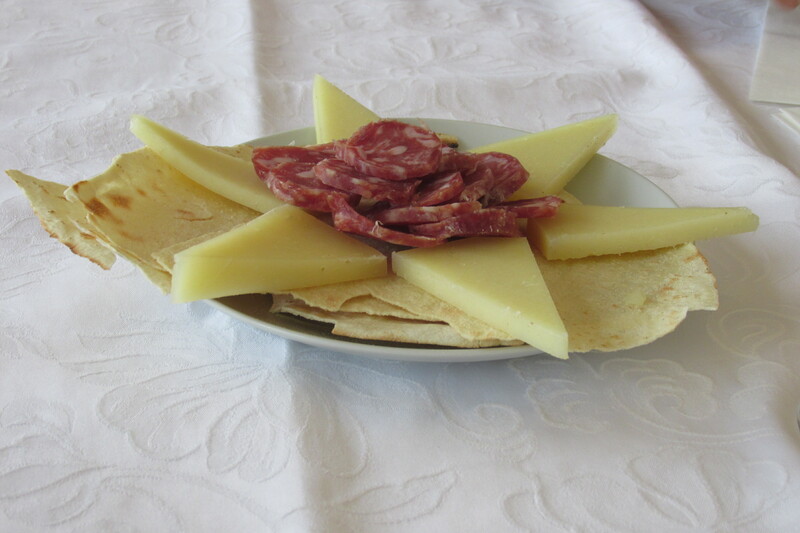 Pecorino, like I had never tasted it, young and soft like mozzarella or aged from a few months up to a year. Casu marsu, a maggot riddled form was new to me. Pecorino and ricotta the other ubiquitous cheese are made from sheep’s milk until they are shorn in late spring. Cow milk replaces sheep’s milk for ricotta until late in the fall. With more sheep populating Sardegna than people it is understandable why lamb, pecorino and ricotta dominate the cuisine. Pasta. 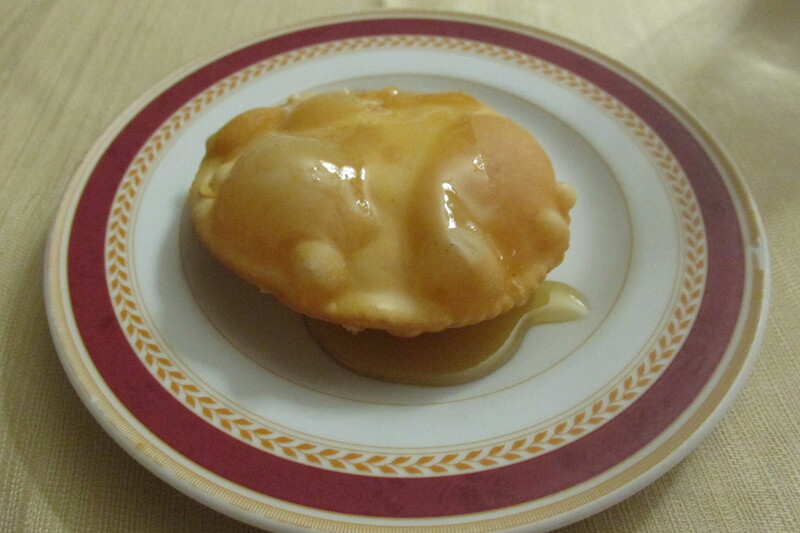 Culurgiones, ricotta filled pockets rather than ravioli, malloreddus, small dumplings in tomato sauce rather than gnocci, fregola, a nutty pasta frequently served with clams, varying slightly from north to south were common. Veggies: tomatoes, zucchini and eggplant dominate. 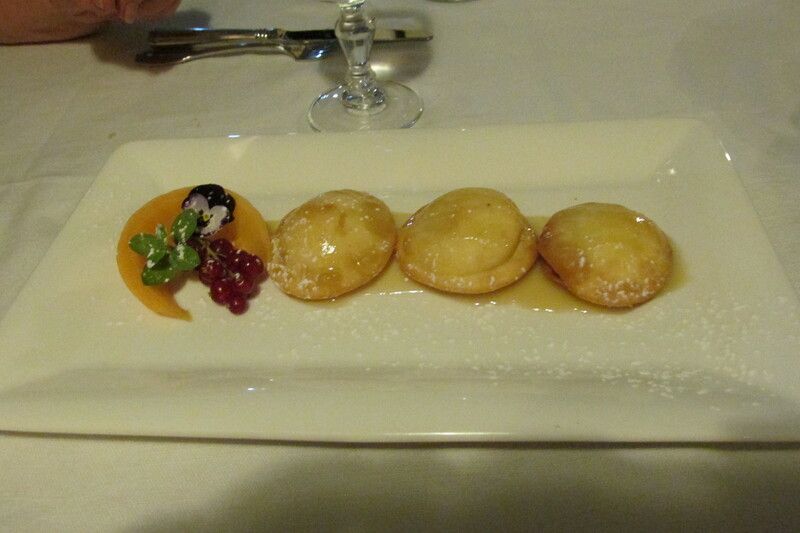 Seada: ravioli like pockets filled with pecorino, topped with honey is divine. Wine: cannonau, vermintino, carignan always available, but rare varietals indigenous to the island may be had as well. Nutshell: the divine food of Sardegna covers all three of the above criteria making it more than fit for a foodie, the kind of foodie as explained by Mark Bittman. Pleasure is just one aspect. It’s even more important to reflect our values. From my table at a café in Matera I look out at the following. A consistent round of church bells mark the hours. Sweet tweets and willowy songs of birds recently flown in from Africa fill spaces between bell rounds. An occasional map poring tourist seeking transport passes by. Sitting here in Matera I am reflecting on Sardegna, somewhat torn between whether I should record facts or simply communicate experiences. Perhaps a bit of both. 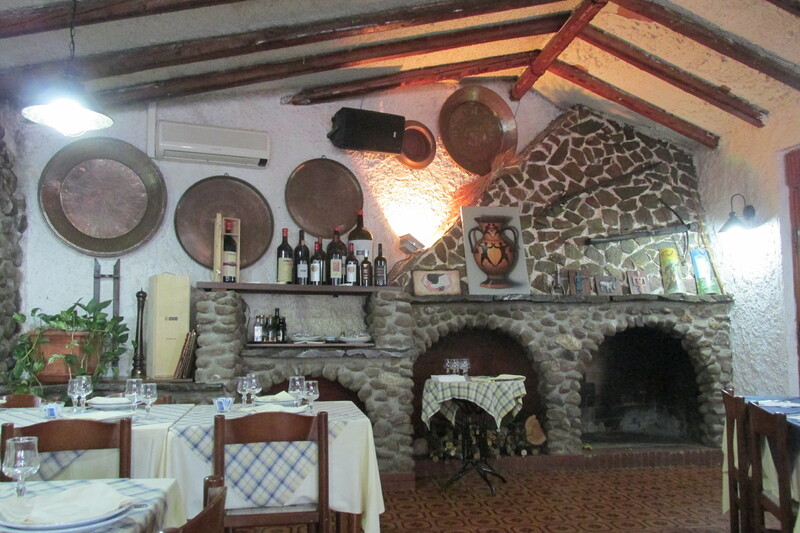 Going to Sardegna as I alluded earlier is like dropping off the planet and falling into a quiet place where the living is slow, the quality of food impeccable and life is about connection with family and friends, all marked by the rhythmic kneeling to the gods of the seasons and the Deity. Sardegna, when I think of you it is not your turquoise beaches that come to mind although I have rarely seen more beautiful. Nor the nuraghis whose presence is a reminder of time before recorded time. 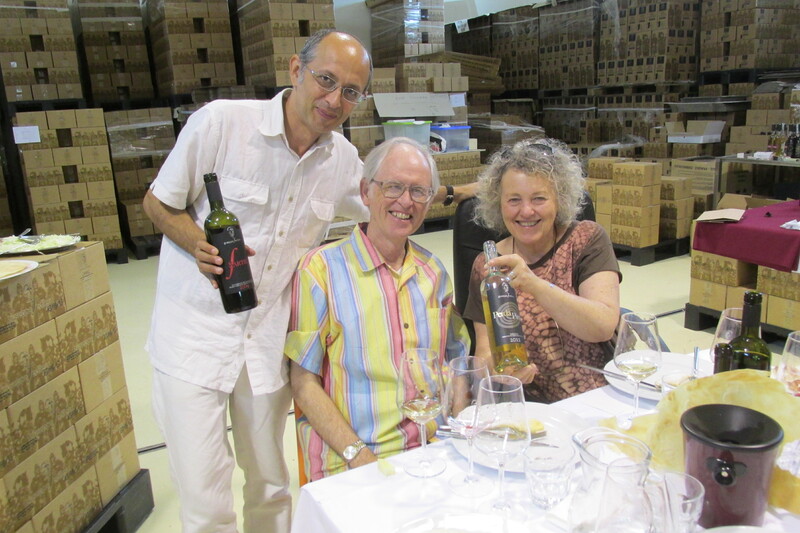 I think of the people we met as we made our way along the wine route that our friend Tim Robertson of Robertson’s Wine Tours set up. 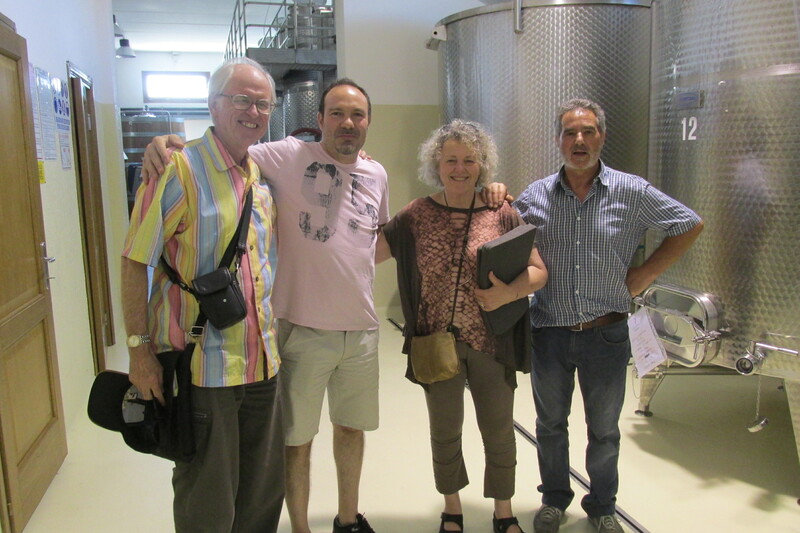 Our meetings with winemakers were remarkable. 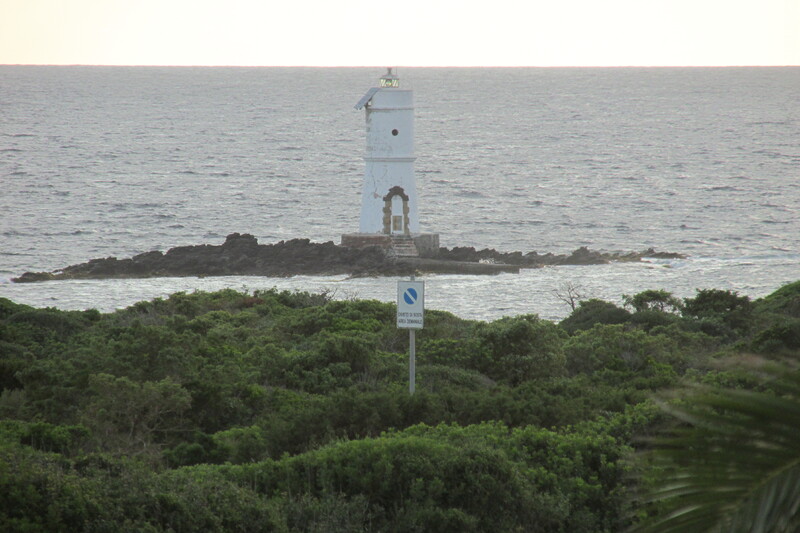 We began in the southwest where we stayed on Sant’Antioco, then up the central west coast to Cabras on the Gulf of Oristano. 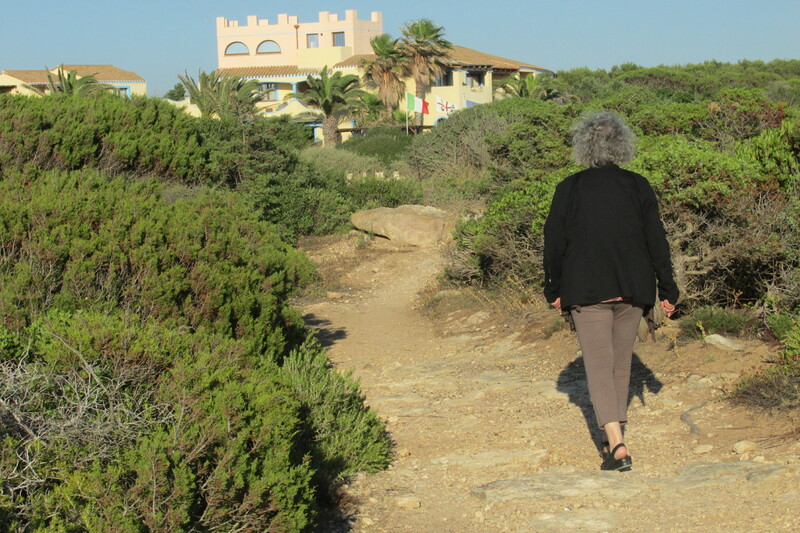 From Cabras we had a stay in the Catalan area of Alghero, then a trip to the east coast city of Orosei. Finally, we returned south to Calgliari, the capital of Sardegna. 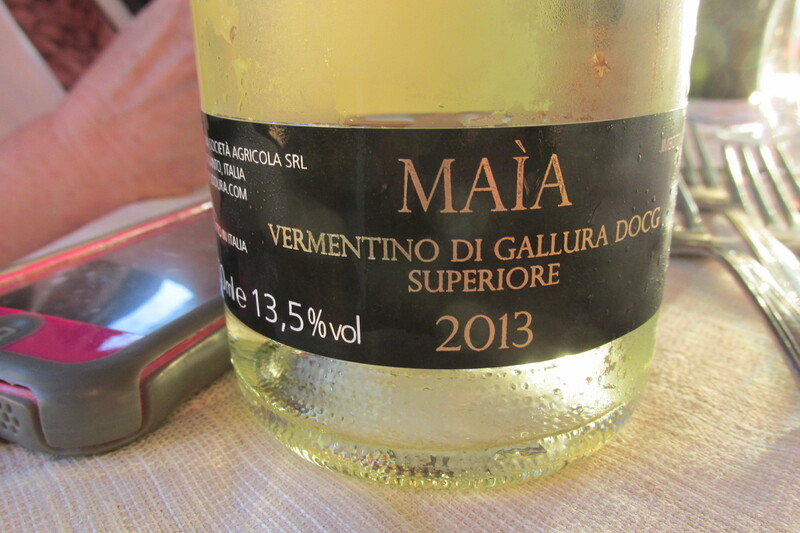 Along the way I learned more about the grapes of Sardegna, the winemaking process and of course the end result. Guiseppe’s Sedilesu’s story from orphan at nine to overseer of one of Sardegna’s most prestigious cantinas is a case in point. Guiseppe went to work in a sawmill. As he grew up he recognized that having wine at the table for dinner carried a certain dignity. 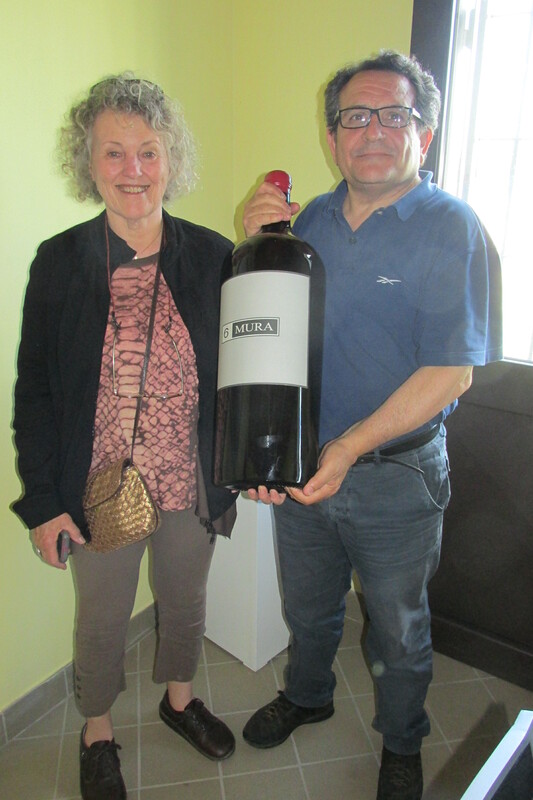 By the time he had his own family he decided to provide wine for his family meals. Taking some of his hard earned money he began to rent vines. We would call this sharecropping. 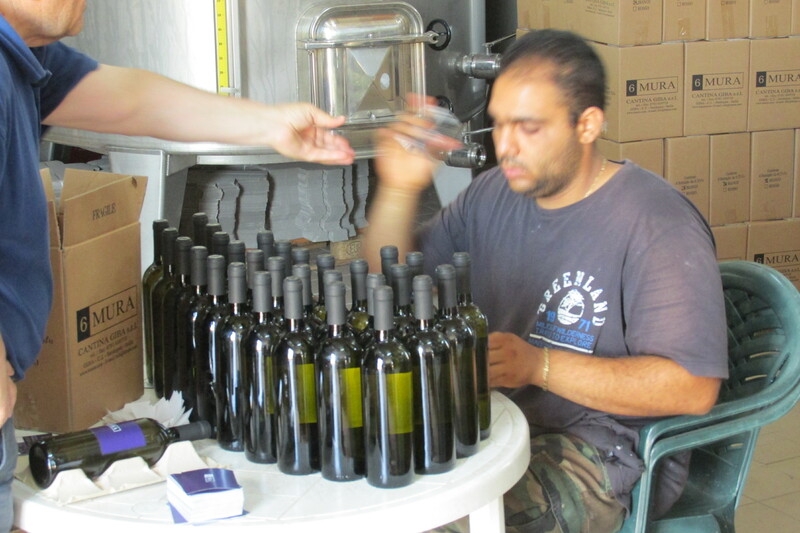 Eventually, Guiseppe was able to purchase a hectar and grow his own vines. 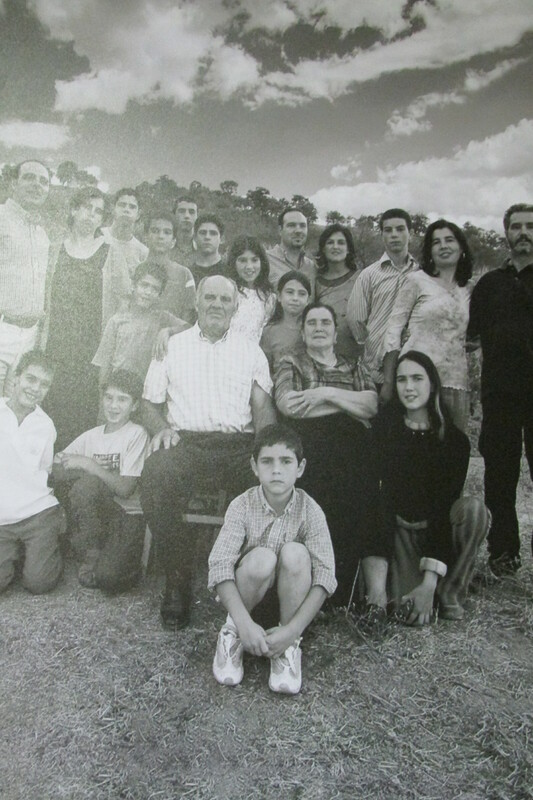 As they grew up his children helped him with the small vineyard. Along the way he acquired more hectars and honed his winemaking skills all the while focusing on cannonau for which Sardegna is famous. The children acquired the same skills. In Sardegna family is the base and core of everyday life. 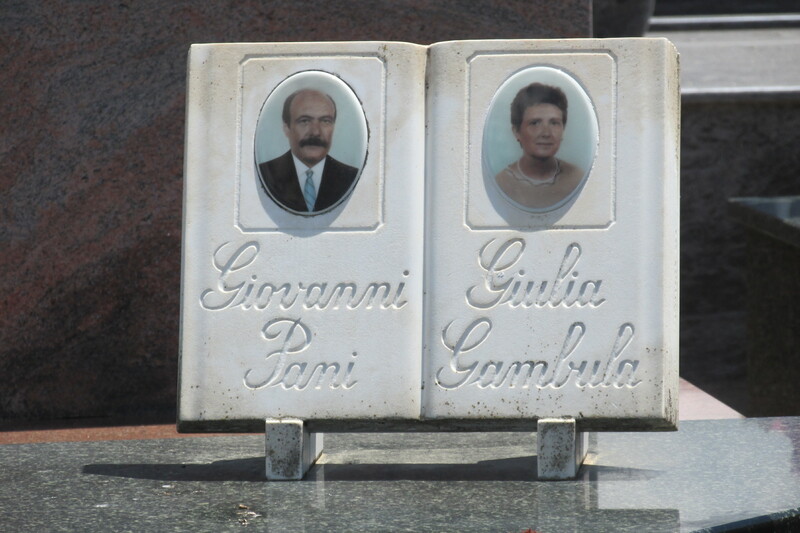 Along with cannonau, family connection is given as the reason for the longevity, centenarians are quite common, of so many of Sardegna’s citizens. When Guiseppe reached an age where he knew it was time to consider retirement he gathered his children and offered them a proposition. He could divide up the vineyard into parcels for each and himself, or the siblings could band together to develop their cantina and the quality of the wine. They chose the latter. Salvatore and Emilio handle public relations and hospitality. Francesco not available for the photo is the oenologist. 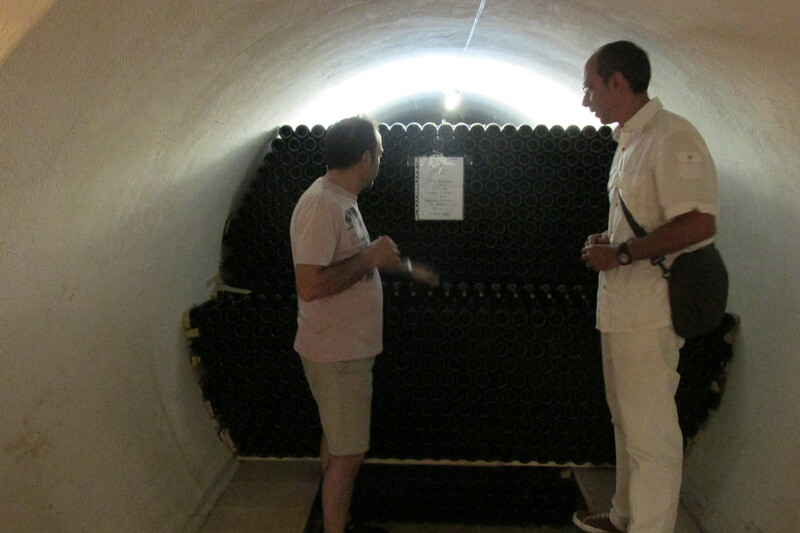 Mario of Travel Motus accompanied our tour of the cantina. Row upon row of tightly stacked bottles of aging wine extends back for several meters. 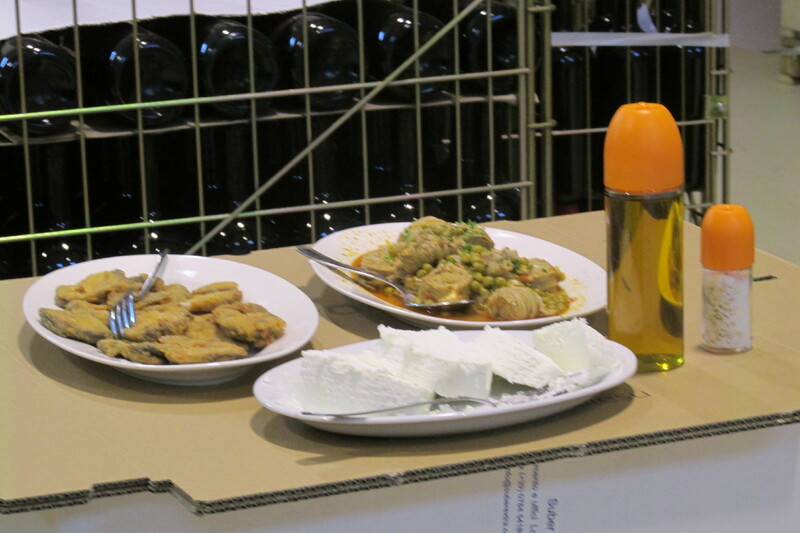 The Sedilesus set up impromptu tables in the storage room and surprised us with a feast of the typical foods of the region. The dish on the far left is brain. I thought I was eating fried zucchini! Nine bottles–all cannonau representing different vineyards and qualities. One white called granazza is a mystery grape as of yet unidentified. 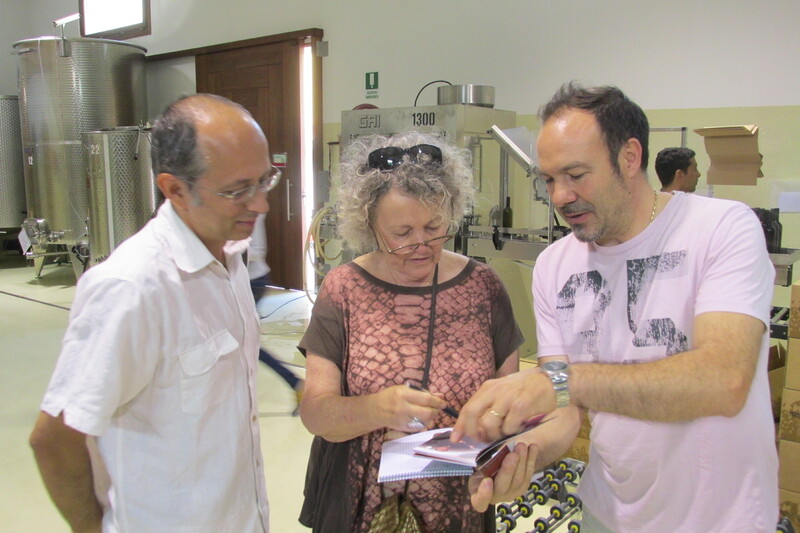 Gabbas from Nuoro who focuses on canonnau is attorney turned winemaker. He, too, purchased a vineyard, worked it on days off until he decided to devote himself full-time to working with the grape. His wine has received three glasses six years in a row from Gambero Rosso, (means red prawn and comes from a tavern in Pinocchio where the cat and the fox dined) a guide started in 1987 and comparable to an Italian Michelin Guide for wine. 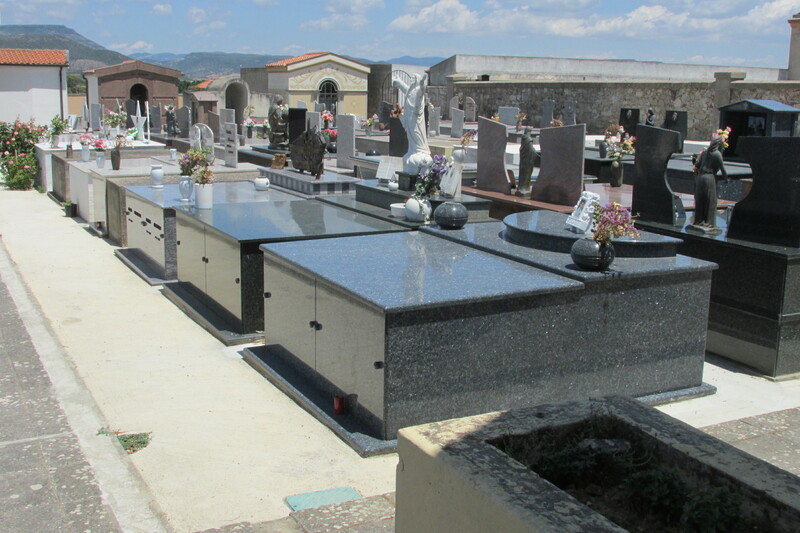 Francesco, Guiseppe’s nephew gave up architecture to join full-time in the family business. Today they produce some of the finest on Sardegna We piled us into Guiseppe’s Range Rover to be taken on a hair-raising ride up and down the slopes of the vineyard. Queens Lace borders the vineyard. Gabbas wines enroute to the US. It is said that the Renaissance bypassed Sardenia, but surely not the twenty first century. I expected dirt roads, villages of battered huts and people in tattered clothing. To my chagrin, I had taken on a view leftover from the days following World War II. Homes and buildings look spanking new, just painted. So far the roads are very good, the driving easy. So far the food as I expected is simple with depth to the flavors. The people could not be more gracious and hospitable. 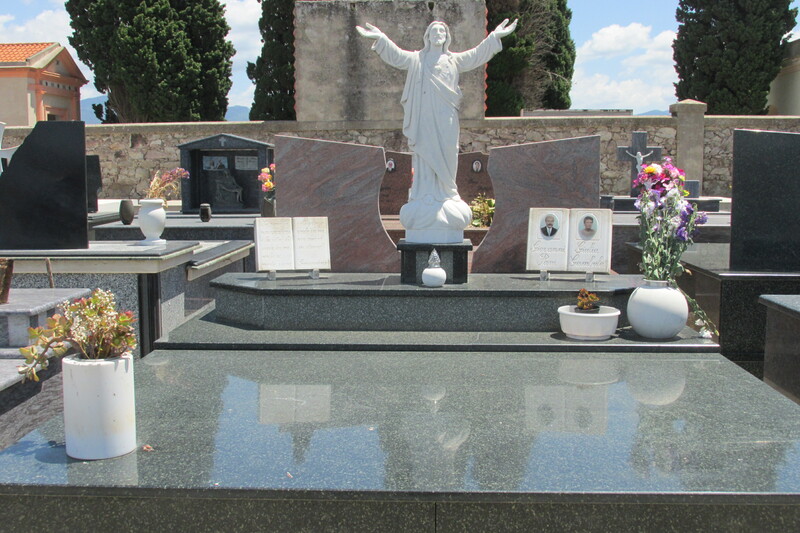 After flying into Caglieri, the capitol we drove toward Sant Antioco. An island on the south western corner of Sardenia, it is connected to the mainland by a bridge. I’ve heard it said that Sant Antioco is the least developed part of Sardenia. The only indication I have seen so far are some gravel roads off the main. Friendly people. 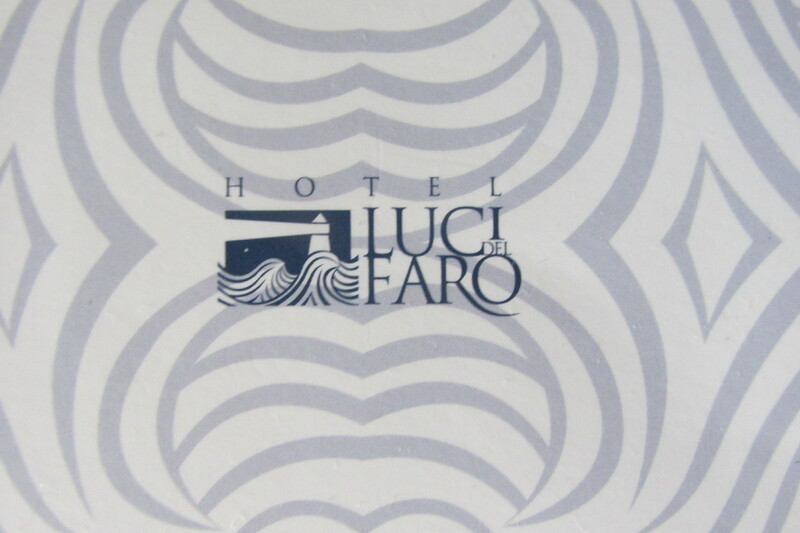 We arrived at Luci Faro our hotel about 5 pm. Named after an old lighthouse we could see it from our balcony. After a dinner not worthy of mention and our first overnight, we were scheduled to tour 6 Mura a cantina in the small town of Giba. It would take less than an hour to get to Giba from hotel to cantina according to Google Girl, but we headed out an hour and a half early in case we got lost. Driving in we rarely saw any signage. We were driving south on the eastern tip of the island. An hour later Google Girl told us we had arrived. Huh? We had to be in view of 6 Mura, but no Mura to be seen. 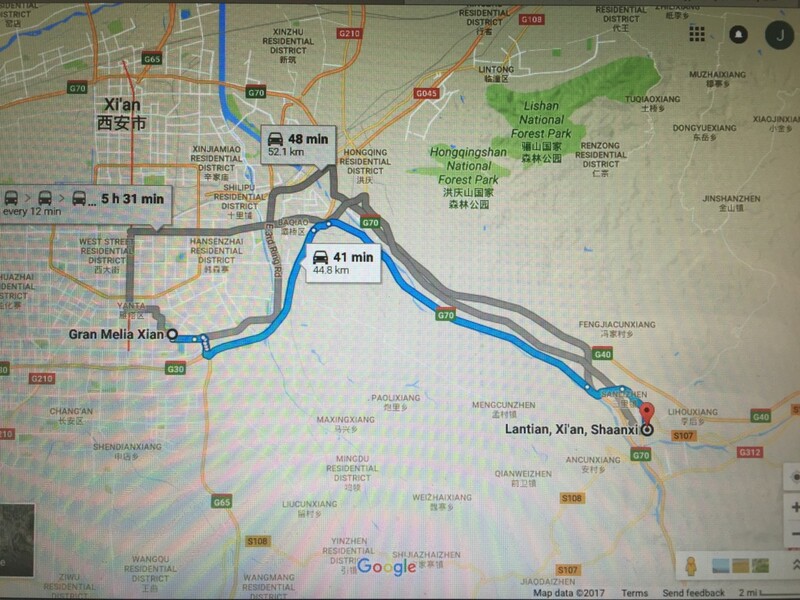 We called Andres the winemaker and he gave us specific directions. He instructed us to move down the road and turn right at the red house. With noo red house in sight we called him again. This time he sent Giancarlo to rescue us at a nearby gas station. It turned that the red house out was a small red brick attachment to an industrial business next door winery and both within thirty seconds of our viewing point. Hand labeling at 6 Mura. 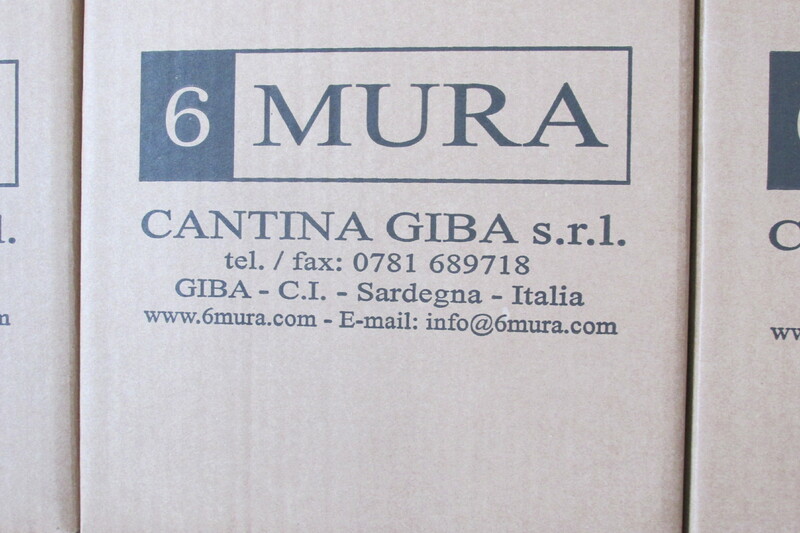 6 Mura is available for purchase in the US. 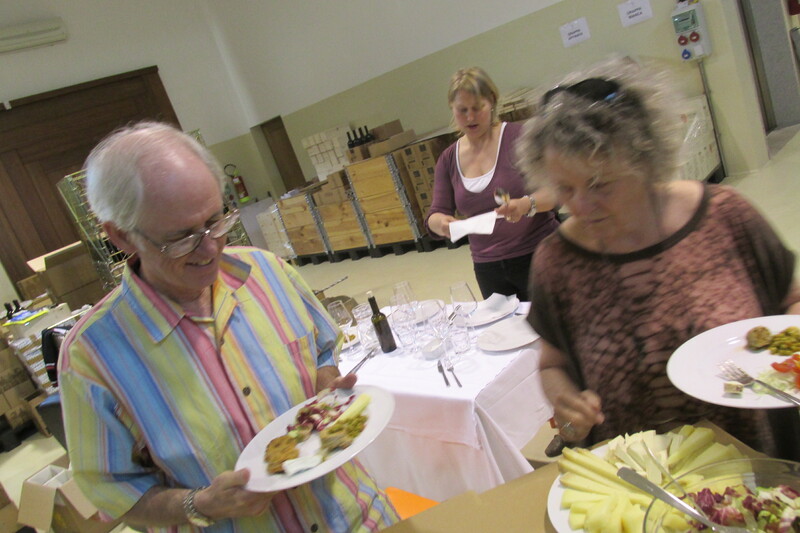 More about the varietals and tasting in a later blog. 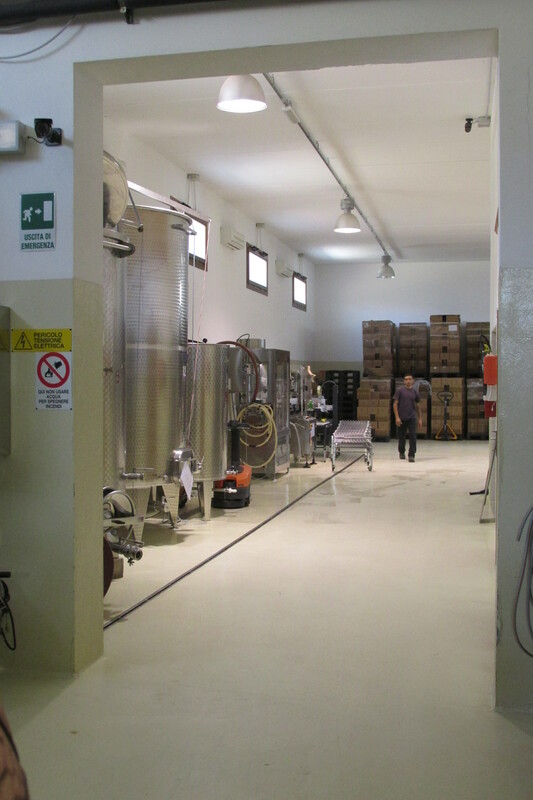 Carignano got three glasses from Gambero Rosso for 2013 – carignano del sulcis (the specific source of the carignano). 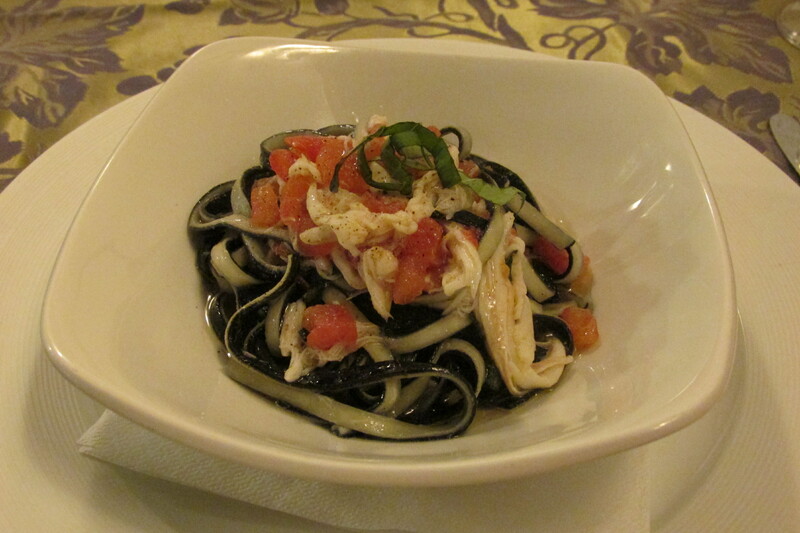 Giancarlo told us that Rosella’s in the Locanda Hotel had the best restaurant in town. An hour and amazing lunch of traditional ricotta ravioli in brodo later, we agreed. 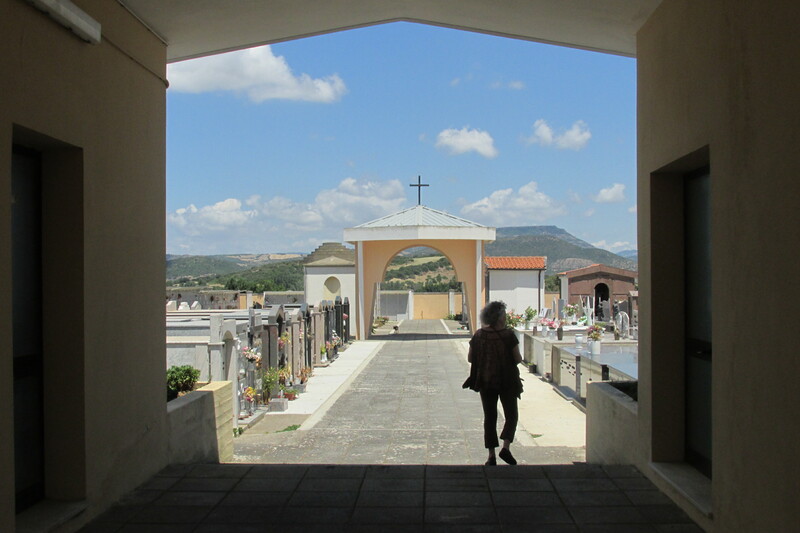 On the way back to Luci Faro we stopped to take a look at a local cemetery. The weather had cooled a bit by the time we got back to the hotel, but still nice enough for a walk along the rocky coast line. We hustled down a gravel road through the fields beyond the hotel. Rows of crab-apple topped nopales lined up and stretched across the fields like soldiers. Old and gnarled cactus plants surely they serve as representatives of the ancient ones of Sant Antioco. 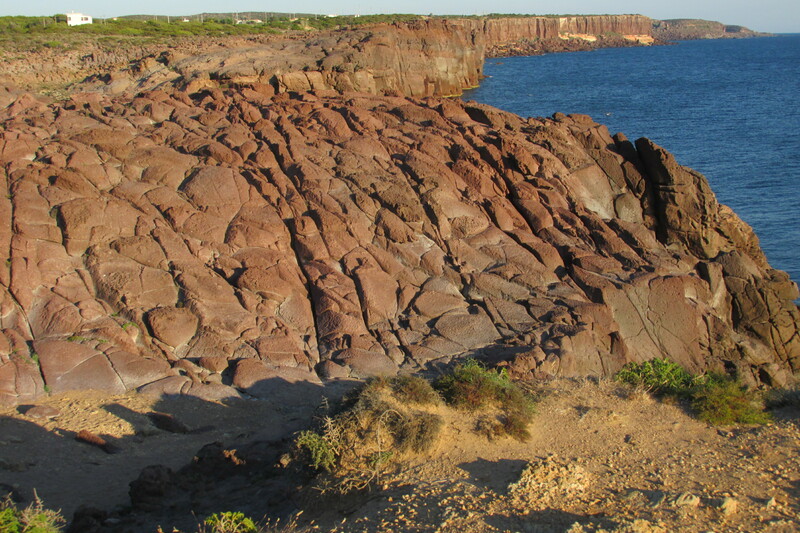 We continued over on to the cliffs along the coastline. 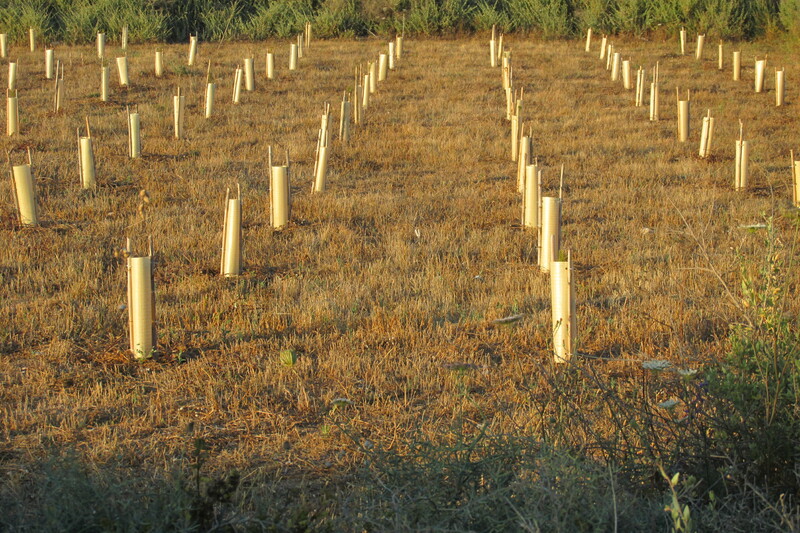 On our return to the hotel we noticed a newly planted pine forest. Dinner on the second night much better than the tough faro on the first. The large bicycle touring that was here on the first night has left and there is far less noise. Ending the day, not so much eventful but still interesting, I cannot help but reflect that Sardenia has such a tranquil energy. A soft quiet underlies the call of birds in the morning, the singing of frogs at night and church bells at the top of the hour. Silent mountains rise to meet luminous skies. Turquoise waters lap the shores. Space and silence everywhere much like the California I knew as a child when unbounded space flowed freely. Freeways, the one or two that existed were not crowded; roads were open and easy. 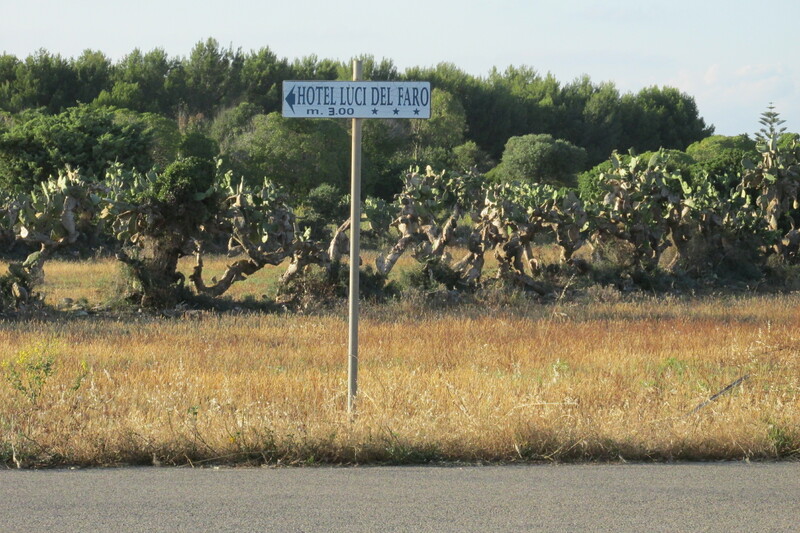 Likewise, in Sardinia driving is not rushed or hectic. Pedestrians cross the streets any and everywhere, bicycling is ubiquitous. Life is casual. I am getting oriented.